The L'Atelier Miami Beach Condominium and Condos. 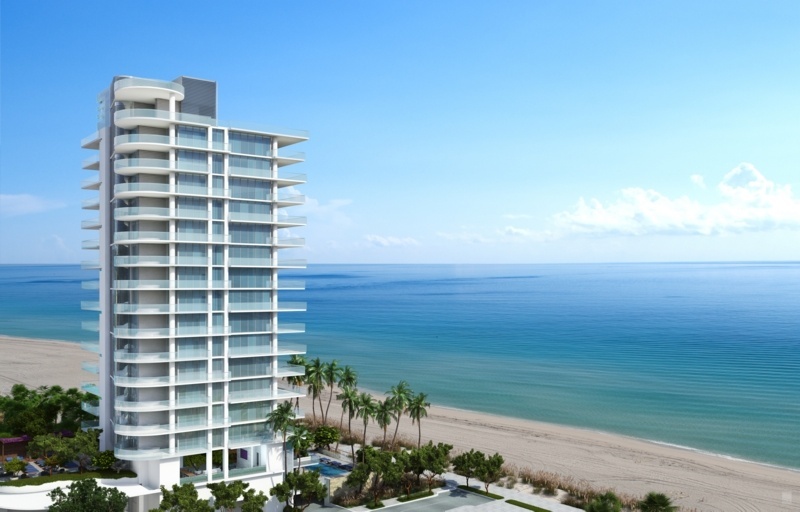 Oceanfront luxury condos in North Miami Beach, 18 story 20 luxury oceanfront condos. 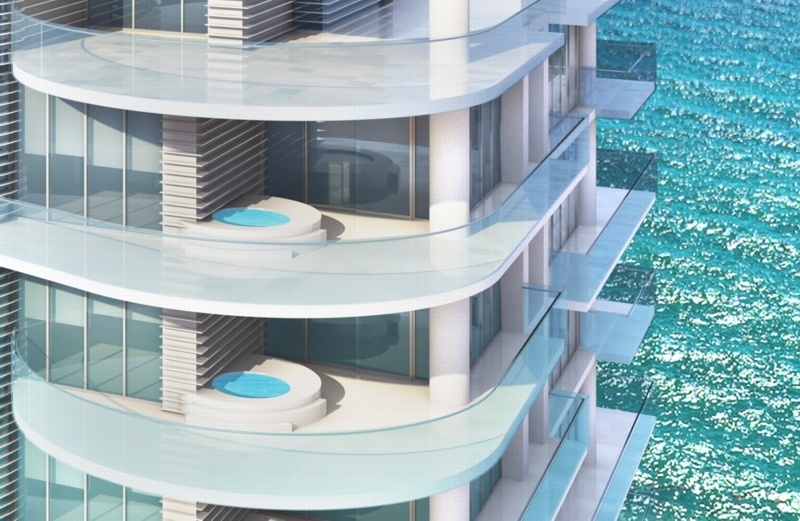 Just 20 half-floor and full floor luxury Miami Beach residences. Open NOW on the beach and ocean in Miami Beach - The L' Atelier Miami Beach luxury condominium, condos and penthouse homes. Construction recently completed at the end of 2018. 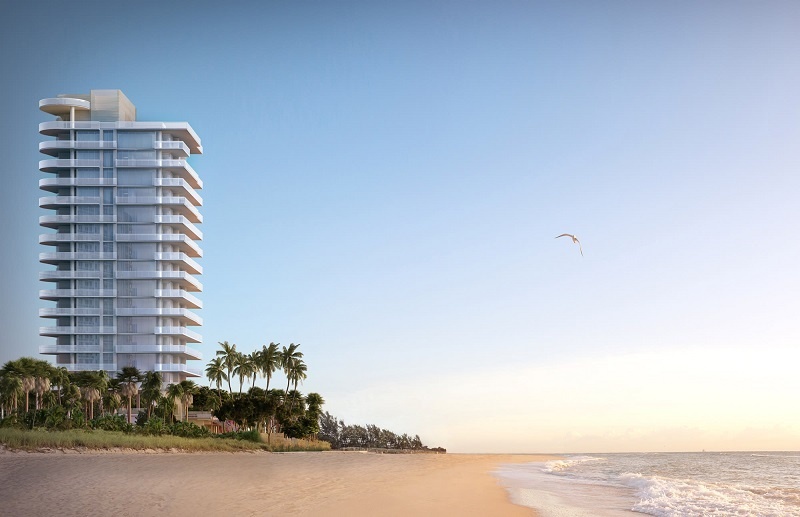 Located directly on the beach in Miami Beach, the L' Atelier Miami Beach condos are an exceptional luxury "boutique-styled" luxury condominium residences and property to be developed at the location of the iconic and historic Golden Sands Hotel, directly on the ocean in North Miami Beach. 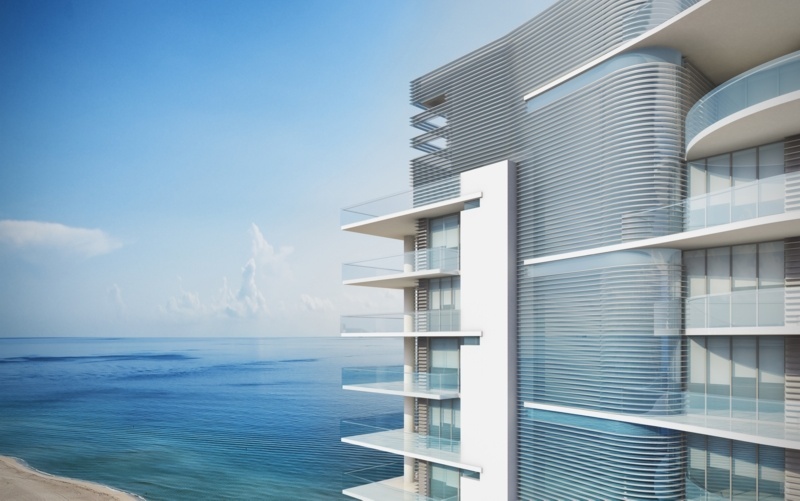 A beautiful oceanfront 18-story condominium with only 20 luxury condo residences and penthouse homes. You have your option of purchasing a one-of-a-kind half-floor residence or a full-floor residence in this stylish and amenity rich oceanfront condominium property. The floor plans are spacious and all feature multiple large and expansive balconies and terraces. 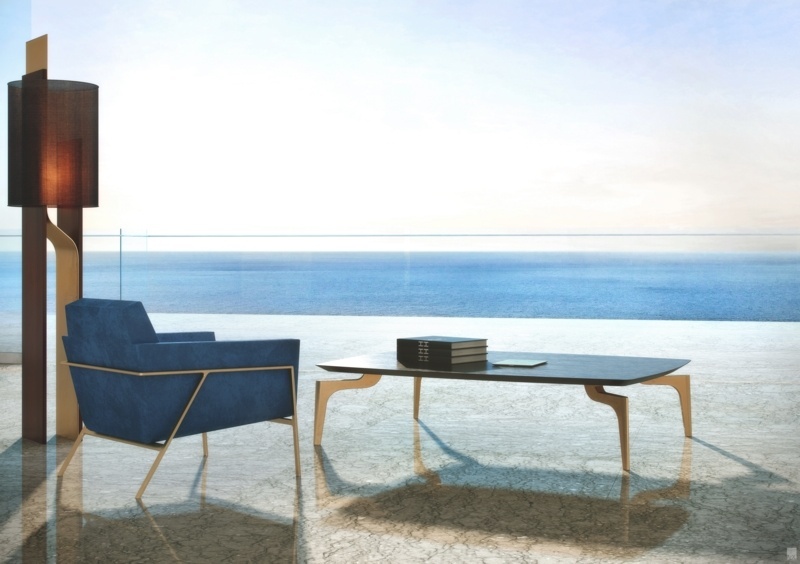 Sunrise ocean views and evening sunset views can be viewed from every luxury L'Atelier Miami Beach residence. All L' Atelier condos are designed as complete flow-through residences, L’Atelier on Miami Beach offers captivating vistas in every direction. To the east, the gorgeous blue waters of the Atlantic Ocean blend seamlessly with the horizon. To the west, the emerald greens of the La Gorce Golf Course contrast with the skyline of downtown Miami. To the south, the historical Art Deco District and the luxury towers of South Beach's South Pointe shine. To the north, Allison Island, the architecture along Collins Avenue and the luxury towers of Bal Harbour put the finishing touches on a location that is truly spectacular. 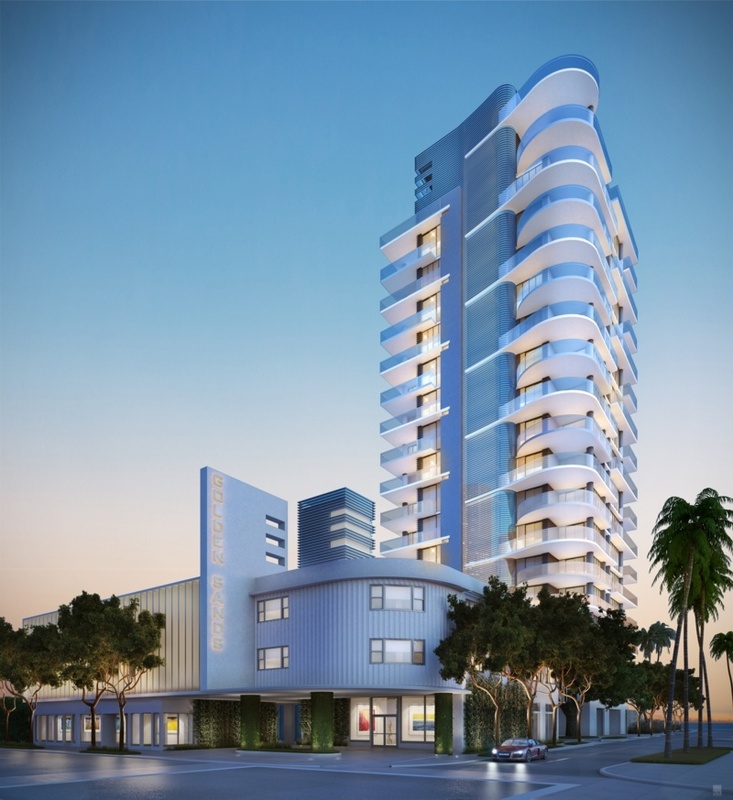 The NEW L’ Atelier Miami Beach condo rises on the grounds of the historic Golden Sands Hotel. The Golden Sands was a center piece to Miami Beach fame during the Rat Pack days of Frank Sinatra, Sammy Davis Jr., Dean Martin and friends. Originally named the Bombay Hotel, the Golden Sands Hotel was designed shortly after World War II by Norman M. Giller. This was the first hotel on the Beach to offer a parking garage. The Golden Sands Hotel boasted many features common to mid-1950s resorts, including a curvilinear lobby with woggles, a pool, shops, a restaurant, and direct beach access. In honor of this unique history, L’ Atelier Miami Beach merges beautifully the historic façade of the Golden Sands Hotel with its new ultra-modern and stylish residential tower with all of the 5-star amenities offered throughout the property. The L'Atelier Miami Beach developer has released a select list of available L'Atelier condominium residences onto the public MLS. Those residences (if still listed on the MLS) are shown below. Contact Linda "G" directly for the complete list of all available residences and to schedule a tour of this historic and luxury oceanfront Miami Beach condominium property. 17th and 18th floor Penthouse Homes - Contact Linda "G" directly for more information on the L' Atelier Miami Beach penthouse homes.